John Corbet was a known Covenanter who was tried and banished to the Americas as a slave. He was able to return at a later date and died on 17 March 1706. 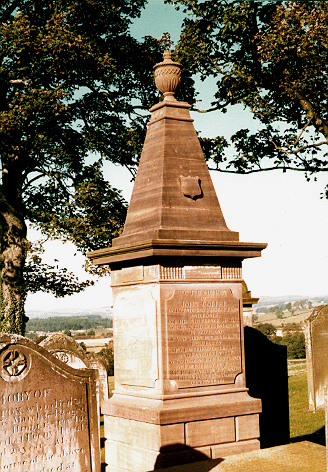 A sandstone obelisk and an older tablestone adjoining commemorates John Corbet. The SCMA paid for the cleaning of the memorials.